Prominent among Citizen’s 2019 Baselworld debuts are these three Promaster watches being made in limited editions to commemorate Promaster’s debut in 1989. 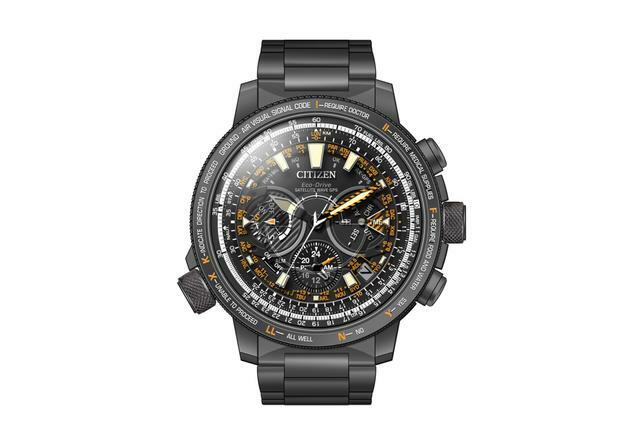 The collection has been Citizen’s core sport and adventure line, boasting many of the brand’s most sought-after features, including Eco-Drive light-powered operation, high-visibility dials and extra-strong titanium or steel cases. The three models in the celebratory collection touch on the primary uses of adventure watches, which Citizen divides into Air, Land and Sea categories. Each watch will sport the Citizen Promaster 30th anniversary logo and serial number stamped on the caseback. The first watch is for pilots, or for fans of aviation watches and their globetrotting sense of time. The Citizen Satellite Wave GPS Promaster 30th Anniversary Limited Edition. The Satellite Wave GPS Promaster 30 Anniversary Limited Edition features Citizen-developed GPS timekeeping technology, whereby the watch receives a time signal from GPS satellites in a minimum of three seconds. Like other new Citizen Satellite Wave GPS Caliber F990 models, the watch also corrects time and calendar by syncing with GPS satellites in any of thirty-nine cities. The watch also features a 47mm Super Titanium case, large indexes, aviation scale and extra-visible orange dial accents. 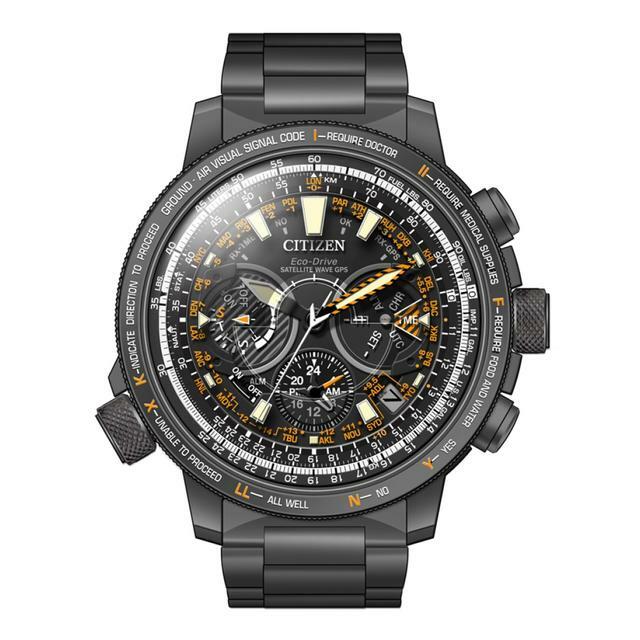 Citizen will release the Satellite Wave GPS Promaster 30 Anniversary Limited Edition in the fall in a limited edition of 1,989. Price: $2,500. Citizen's new Eco-Drive Altichron Promaster is a 30th Anniversary model. It's limited to 1,989 watches worldwide. For land-based adventurers, Citizen debuts the Eco-Drive Altichron Promaster 30th Anniversary Limited Model, featuring an altimeter for mountain expeditions. The analog displays will show altitude or orientation while maintaining display time. 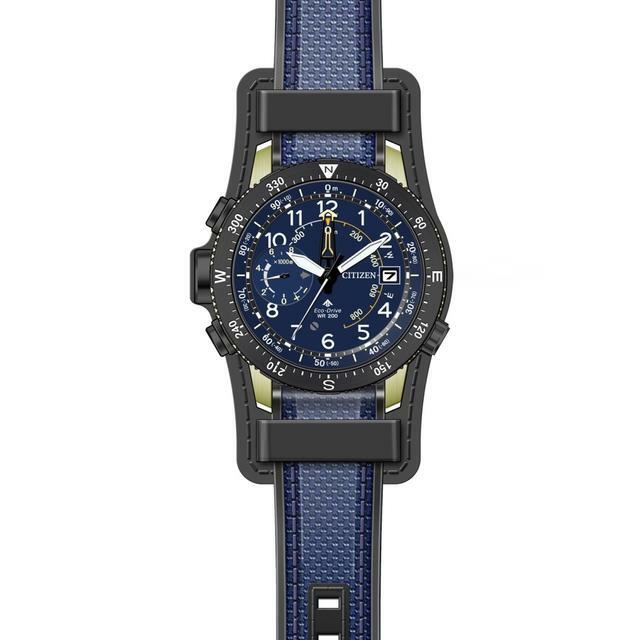 With a nice blue nylon/urethane strap held tightly to the Super Titanium gold-color case and a navy, gold and black dial, the watch is strong and functional. Even the caseback is ready for a hike up a mountain: A special caseback contact layer cover prevents the wearer’s skin from touching the cold metal of the back so that the watch can be worn under extreme cold conditions. This watch is also limited to 1,989 pieces, each priced at $975. Look for it in stores this August. Debuting at Baselworld 2019 is this Citizen Eco-Drive Aqualand 200m Promaster 30th Anniversary Limited Edition. The third new Promaster in this series is the Eco-Drive Aqualand 200m Promaster 30th Anniversary Limited Model, a 46.1mm steel-cased diver with extra-luminous dial, an analog depth meter and a host of dive features required in ISO and JIS-compliant dive watches. These include a highly visible power reserve indicator, dive alarm for alerts in case of excess speed in ascending, water sensor, screw-locking crown, screw-locking buttons and unidirectional bezel. Water resistant to 200 meters, the new Citizen Eco-Drive Aqualand 200m Promaster 30th Anniversary Limited Model offers luminosity using different colors, such as green for time indication and blue for depth indication. 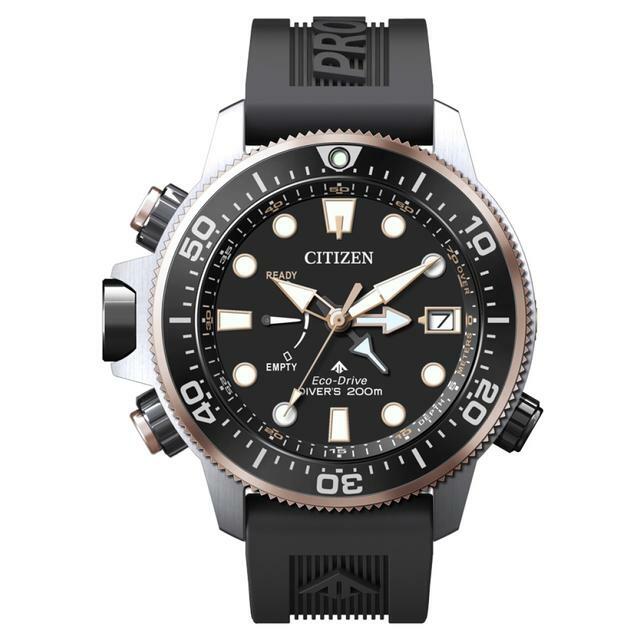 Citizen also includes a separate band extension with flexible adjustments for both ocean wear and hanging out above the waves. The watch, a limited edition of 6,000 units, is priced at $775, and will be available this June.